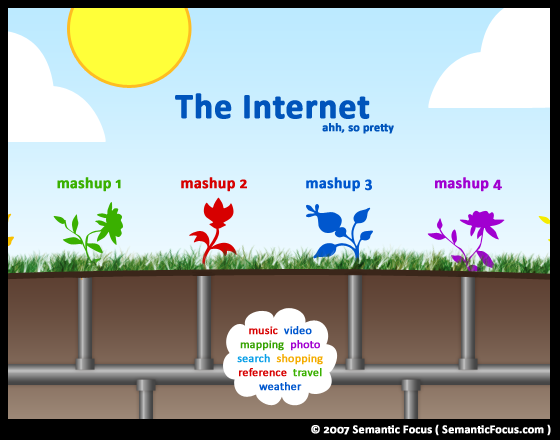 A mashup is a hybrid Web application that combines complementary elements from two or more sources to create one integrated experience. Content used in mashups is generally sourced from a third party via an API or from Web feeds (e.g. RSS or Atom). Basically, the point is to take multiple data sources or Web services and turn them into something useful. The idea of combining Web services is not a new one, but it has gained immense traction in recent times and will likely continue to grow in popularity. In this entry I will be discussing both the promising future mashups offer and also potential pitfalls. Continue reading Does the World Need a Metadata Extraction Service?